I ran across this phrase today — hic et nunc– and against my will flashed back to my experiences with Latin. My father used every rhetorical and parental trick up his sleeve to force me to take Latin in the seventh grade instead of studying one of those romance languages with fun words for scrambled eggs and boyfriend. While my friends were chattering to each other in Pidgeon French and Spanish, I was learning about nominative and accusative with a little genitive thrown in for good measure. Agricola, agricolae, agricolarum. Amo, amas, amat, amamus, amatis, amant. Hic, haec, hoc, huius, huius huius. I’ll never, never forget. I want to, but I can’t. Then there was Miss Florence Clark for ninth and tenth grade who had been teaching Latin at the high school since Jesus lost his sandal. She was tall, wore her hair in a gray flecked bun, and embraced the cliché of an old maid school teacher. Her steely eyes and bat-like hearing could detect whether my translation of Caesar was my own (rarely), or came from Cliff’s Notes. For me, reading Caesar’s Gallic Wars was akin to putting together a jig-saw puzzle. I could do neither. The words were arranged in an illogical order with the verbs coming toward the end of the sentence. The ending of each word had to be parsed for clues. Then the words had to be pieced together to translate a passage about Caesar or the Romans or their conquests. What a nightmare. What did I have to do with the Romans? I wanted to jabber in Spanish about mi falda y zapatos. I wanted to be Mariana and ask people: como esta usted? Now that I have travelled to Rome and seen the Coliseum, the Pantheon, and more, I have a deeper appreciation for the achievements of the Roman empire. I have even collected a few apt Latin expressions. To be honest, I may have acquired a deeper understanding of English grammar because of my exposure to Latin. But am I now glad that I took four years of Latin from those two giants of esoteric knowledge? No, no- a thousand times no! 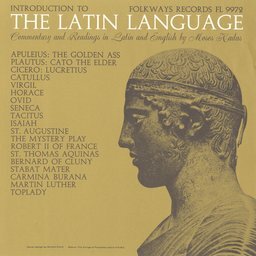 Even at 60+ I see the study of Latin as a first foreign language to be a form of cruel and unusual punishment.